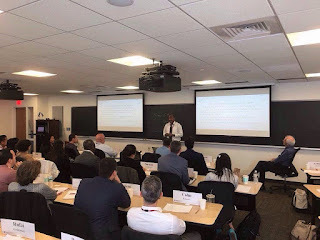 In June 2016, I went to Boston, USA, to study Advanced Study of Nonviolent Conflict at The Fletcher School of Law and Diplomacy, Tufts University. That was the first time I went to Boston and fell in love with this vibrant city. Thanks to my good old friend Sintayehu Dehnie, I had the opportunity to visit one of the iconic universities in the world – Harvard. I loved everything I saw at Harvard and in Cambridge and wanted to come back to this great university and attend a program. It was only a dream then. Yes, that dream was deep in me I had to search for a program that I would be interested in at Harvard Kennedy School. It took me sometime to decide the program I would qualify for and I should attend. I contacted Harvard by the end of November 2016 for clarification and subsequently submitted my application for one of the programs – The Global Change Agents Program. The title of the program looked great and I convinced myself I should go for it. Luckily I heard from Harvard Kennedy School in December 2016 that I had been accepted for the program and consequently had to start preparation for next steps. I must admit that the next steps were not as easy as being admitted to the program. Funding was an issue but I had the courage to go extra mile. After lots of email exchanges and phone conversations, I finally secured my place. This wouldn’t have happened without the support of some amazing people that extended their support. My Many thanks go to the Global Change Agents Program, especially the then head of the program Kristi Viola who was so helpful. Also, my thanks go to Sergei Konoplyov, the current program director, who had to extend his advice and help until the eleventh hour. My special thanks go to the Old Possum's Practical Trust that extended financial support and helped me see my dream come true. Thanks to my community organising job in the United Kingdom that brings me in touch with many wonderful people that work hard to change the world for a better. At the heart of community organising is building relationship. Because of these relationships some of the people I have worked with have stepped in to help in any way possible. Among these voices of courage are Julia Thistelton-Smith, Neil Jameson, Zrinka Bralo, Nick Sagovsky, Andrew Jacobs, Anna Pincus, Kaaren Wallace, Ben Fraser, Fran Wood, John Coleby and Jennifer Monahan. Andrew Jacobs said, " I am sure you will use this training to the advantage of the disadvantaged people you spend your professional life helping". I feel indebted to these amazing folks. I can’t thank them enough. 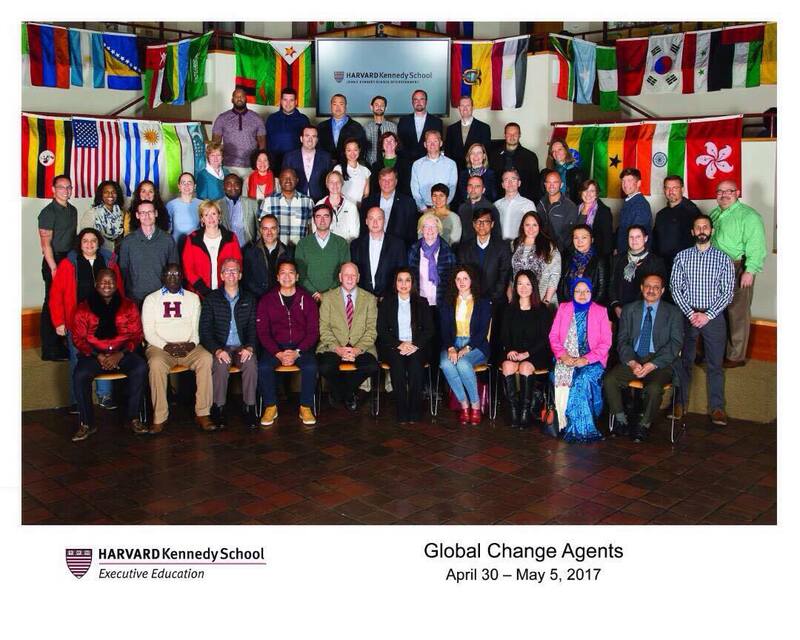 The experience at Harvard Kennedy School was exceptional. What made the program special was that it brought together people from all walks of life that were willing to contribute their bits and challenge the status quo; people willing to push boundaries; people willing to challenge established norms. Each participant was fully engaged and actively participating and sharing ideas. 52 people from different parts of the world attending a program that can meet folks’ expectations. Lots of talents and experiences brought together. People ready to make a difference locally, nationally and globally. The atmosphere was phenomenal from day 1. The program was intensive and that is what one would expect from Harvard. Yet the participants were ready and up for the challenge. The fact that we had small groups that would meet every day to share ideas and discuss challenges and opportunities in an open way was very helpful. It brought togetherness and friendship. 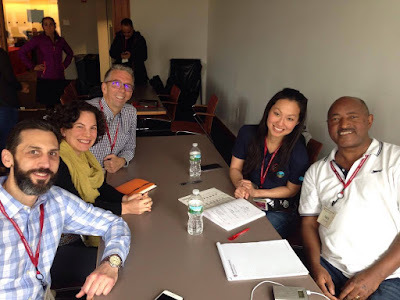 I wouldn’t be surprised if I see one or two of these Global Change Agents Program participants taking some senior positions in government departments in the countries they come from – if not they happen to lead their countries. Lots of truly inspirational folks who are willing to go extra mile to make a difference. Folks who also find time for fun. Who forgets the Karaoke? The many selfies? Exchanges on WhatsApp? Keep shining colleagues and friends! I also enjoyed the way each session was structured and stories shared. Each session was led by a highly qualified and competent individual who was able to take us on a journey without us feeling bored. Lucky us to hear lots of first hand moving stories from Dean Williams. Great opportunity to see Hugh O’Doherty holding the space with his silence and challenging each and every one of us. Excellent engagement with Tim O’Brien who was able to keep us focused. 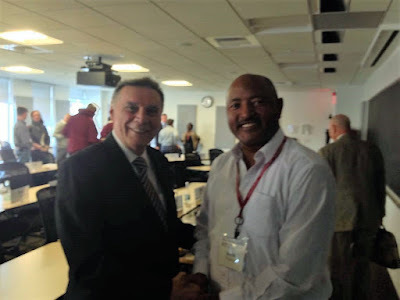 And of course, highly moving stories of Jamil Mahuad, former president of Ecuador, among the highlights of the program. The case studies presented by 3 of the participants brought opportunities for attendees to discuss adaptive challenges in the world we live in. I can’t forget the program coordinators who were so professional and showed adaptive leadership in practice. Harvard, you have met and exceeded my expectations and left me challenged to go for yet another program. I may be back. Who knows when? God willing, that dream may come true in the not too distant future. One thing for sure. Harvard is not only for a few privileged folks. Dreamers could also go to Harvard. Yes that is possible!